EVERYTHING YOU NEED, ALL UNDER ONE ROOF FOR ONE PRICE! 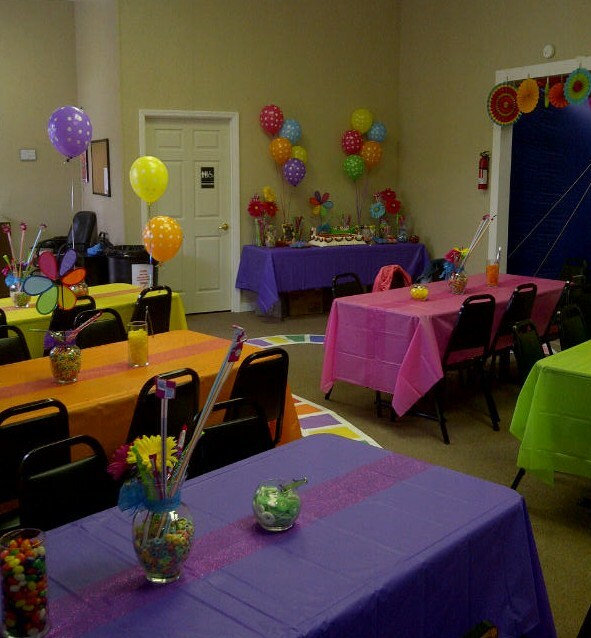 Great for birthday parties, company Christmas parties, church events, school field trips, baby showers and more! 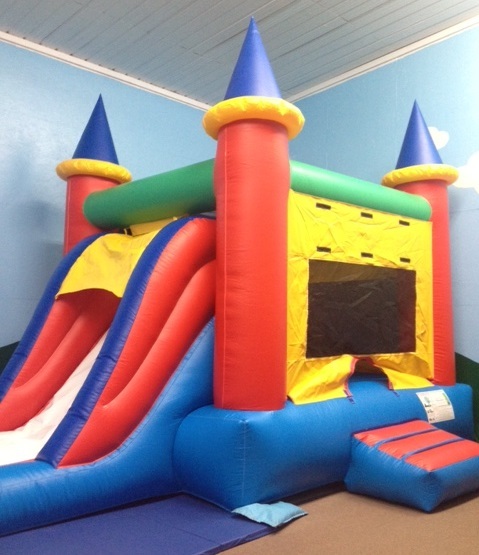 Our INDOOR PLAY CENTER is located just off the Harlan by-pass, across the bridge, at red-light #7. Our facility is air-conditioned as well as heated. 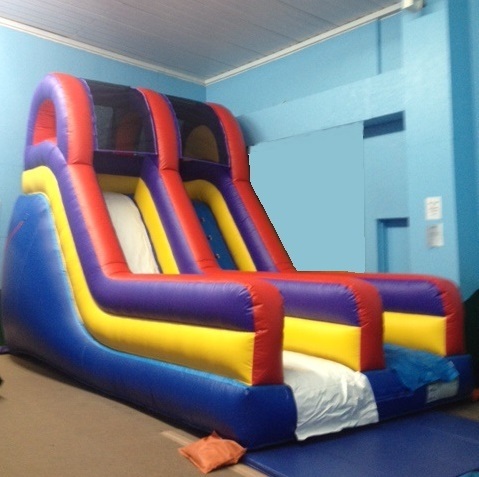 We offer private parties or events with a seating area for up to 48 of your guests and a separate carpeted play area containing 3 inflatable units.... a Bounce Castle/Slide Combo, a 16' Slide, and a 32' Obstacle Course. Also, the bathroom has a wall mounted baby changing station for your convenience. Don't let the weather be a deciding factor in your party plans! Book your party at our Indoor Play Center where it's never raining, too hot or too cold... Come on in, the weather's fine! And let us take care of the clean up for you as well. Still have questions? Please give us a call and let us help you. DON'T FORGET YOUR SOCKS !! Please inform your guests that socks are required at all times while at our indoor locations, thanks! !